Welcome to the information webpage for the OH MY GEODE! Silent Auction Charity Event to benefit Canines for Disabled Kids. This amazing non-profit organization pretty much does what their name implies…they help increase independence and enhance the quality of life for children with disabilities by partnering them with 4-legged companions. What a great mission! I used to work with developmentally disabled kids so they have always held a special place in my heart. I also absolutely love dogs, especially service dogs, so is there a better charity to donate to?! Canines for Disabled Kids has been around since 1998 and they’ve helped over 5000 people across 28 states. They’ve sponsored hundreds of service dogs over the years, provided dozens of scholarships to needy children, and they boast a 21.2% overhead rate which means that 78.8 cents out of every dollar they receive is spent on actual program services. I like those numbers, I like them, and they’re funded almost entirely through private donations so I decided to throw them a little shindig in their honor! 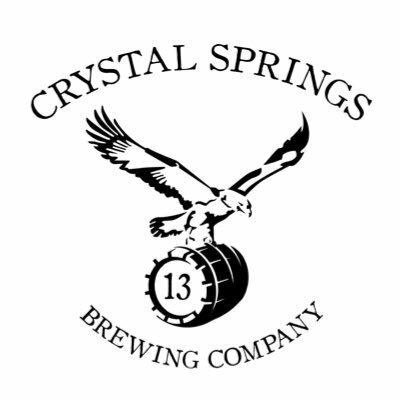 Crystal Springs Brewery is located in Louisville, CO and has 2 locations: one tap room downtown and then another tasting room at the brewery (which is where the OH MY GEODE! Silent Auction will be held, so don’t get confused!). Crystal Springs features a wide range of seasonal and specialty beers in addition to their house regulars including Hudson Mid-Coast Style IPA, Naughty Marilyn Belgian, Blood Orange Kolsch, Cherry Saison, Black Saddle Imperial Stout, and more. Crystal Springs will also generously donate $1 for every beer bought during this event. So be safe, but don’t be shy! The OH MY GEODE! silent auction will have over 100 items including rare and beautiful rocks, crystals, gems, geodes, minerals, lots of handmade jewelry, and more. All items were donated from local shops, artists, and enthusiasts. Credit and debit cards will be accepted, but CASH IS PREFERRED! There will be a 10% tax and service fee added to each credit or debit transaction. So come support a great cause and join us for some fun, food, and beers. Put in on your calendar and we’ll see you there! As November 11th gets closer and closer, I will be updating this page with more and more pictures of the awesome items that will be auctioned off at the event.